Ambidexterity in mice is nothing new, and most entry level mice feature a completely symmetrical design to accommodate left handed users. That’s all good for the standard point and click applications, but when it comes to upmarket gaming mice, made to be robust and for heavy duty use, the necessary ergonomic emphasis and inclusion of extra buttons and features make a truly symmetrical device difficult to implement. Enter mice like the Roccat Kiro, a modular gaming mouse with side panels that can be switched around for button repositioning. The Roccat Kiro gaming mouse I’m going to look at today is a 4000 DPI cheap gaming mouse that falls into the small size category, allowing easy reach of all of its 8 clickable buttons, which will no doubt be appreciated by gamers with more delicate hands (I’m looking at you ladies). It’s actually a bigger brother to the Roccat Lua gaming mouse. 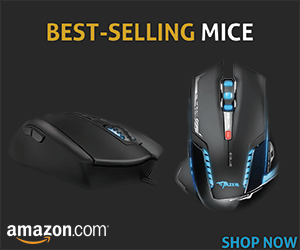 At first glance, the mouse looked like a regular cheap gaming mouse, with its four side buttons hardly a distinctive feature these days. However, it has one neat trick up its sleeve: modular side panels. There four options to choose from – a couple blanks and two with double buttons – of which you can use any two at once. This allows you to have the buttons on either the left or the right of your mouse (or both, if you want). All button functions are customizable via Roccat’s SWARM software, so you’re all set for some clever macros with your MOBA games. Another aesthetic plus is the full RGB colour cycling on the Roccat logo. Of course, you can customize the colour to suit your clan’s colour scheme, through the SWARM software. 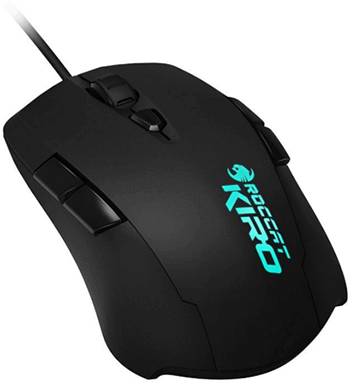 The Roccat Kiro itself has a fairly basic design, with no thumb rest or other advanced ergonomic features. The material is high quality, with a soft touch finish that is resistant to both sweat and fingerprints. We like what we see (and feel), and it doesn’t look like it will wear thin or peel off anytime soon. All clickable buttons give great tactile feedback, not to mention a satisfying clicking sound. The same can’t be said about the mouse wheel, where it is sometimes difficult to tell how much you’ve scrolled. The cable is unbraided, but a nice rubber, which means it won’t slip and trail your mouse movements. For me, the DPI settings were easily changed by using the physical button on the mouse wheel. The Kiro features an “overdrive” mode, where effective DPI is ramped up to the maximum 4000, so you’ve got all the precision you need to give you the edge in your FPS gameplay. 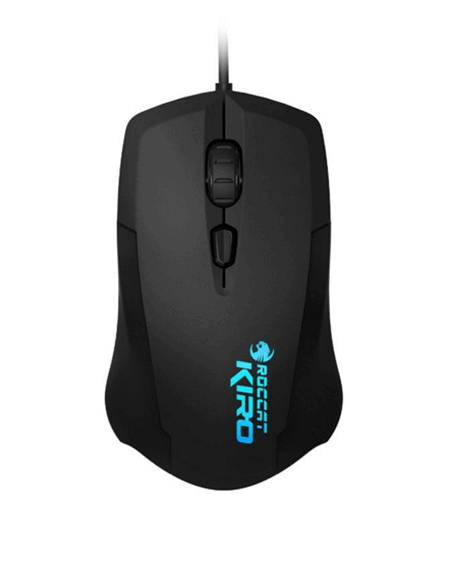 Overall, the Roccat Kiro gaming mouse is a solid build with a unique “super dextrous” design and qualifies as one of the best gaming mice in the cheap gaming mice category. While it does feel a little heavy and unbalanced, which can throw you off in high sensitivity FPS situations, it is nearly perfect in every other regard considering the price point. Do you have more to add to this mouse, feel free to write it in the comments.